We can’t all give the same amount, but we can all commit to share together in God’s calling for CtK. We hope everyone at CtK will make a prayerful sacrificial commitment in the way that God leads—nothing more, nothing less. 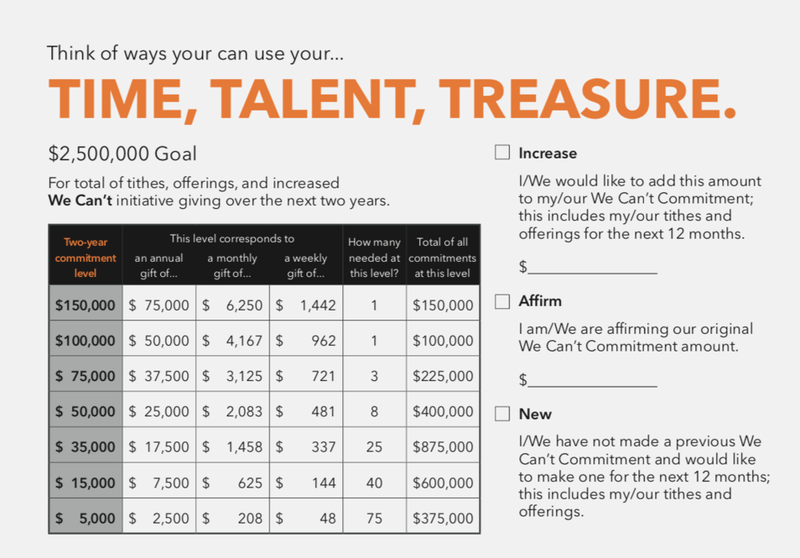 Email wecant@ctkraleigh.org if you would rather make your commitment through a printed Commitment Card. what is the we can't initiative?